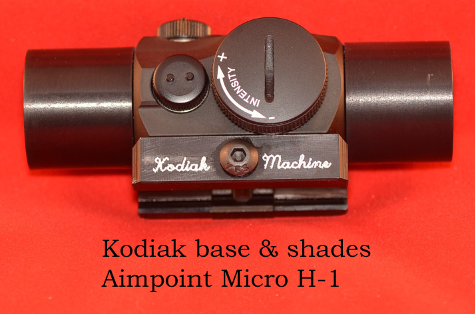 NOTE: Aimpoint Micro is NOT included. Photo is for demonstration only. 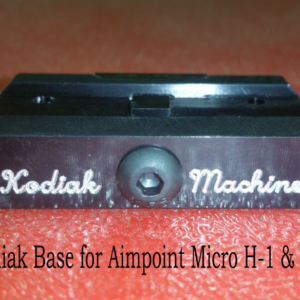 Kodiak Machine mount specifically for the Pardini pistols. 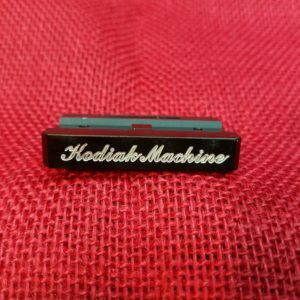 Works exceptionally well on the .22 caliber guns and there has also been success on some of the .32 caliber guns as well. 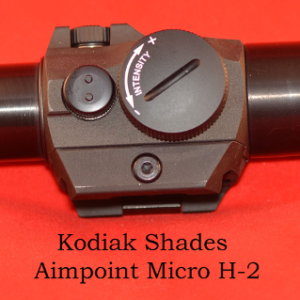 Aimpoint Micro Kodiak/DHE Shades with screw on rear for the H2 NOTE: Aimpoint Micro is NOT included. Photo is for demonstration only.